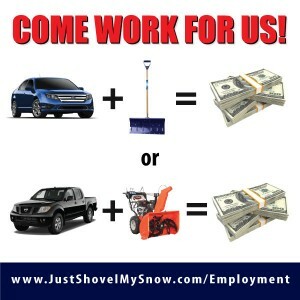 Welcome to JustShovelMySnow.com. We are Kleen Seal’s long thought out answer to Residential Snow Removal. Kleen Seal® has been in the commercial snow removal business since 1992. We have the manpower and experience to do the job, do it right, and and do it now. We serve most areas of Middlesex, Union, and Somerset Counties in Central New Jersey. Snow removal for your home is not just about being able to get your car in or out of the driveway… Its about safety. Many people walk on your driveway and sidewalks each day without you even knowing it. People like you, your family members, friends, mail and package delivery services, food delivery, meter readers and so on… They all need to be able to traverse your driveway and sidewalk safely.